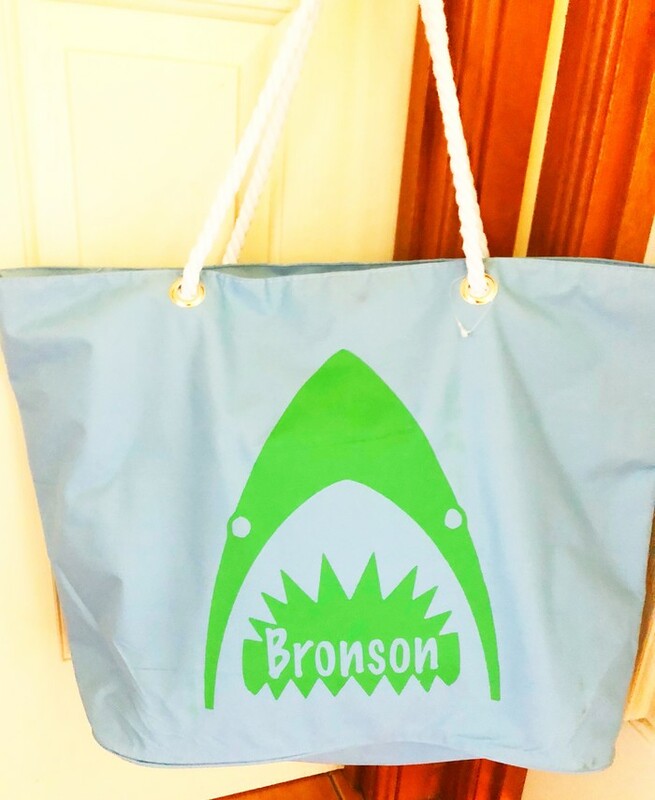 Large personalised beach tote bag, big enough to fit towels, swimmers, sunscreen & lots more! 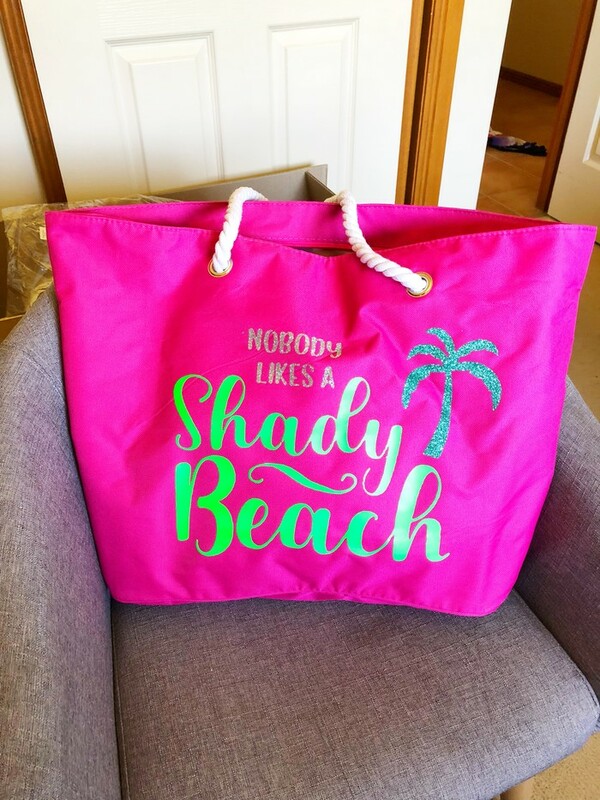 This beach bag is perfect to customize for yourself or for a loved one! Summer is coming, have your beach attire ready! Can be personalised to say anything you want! 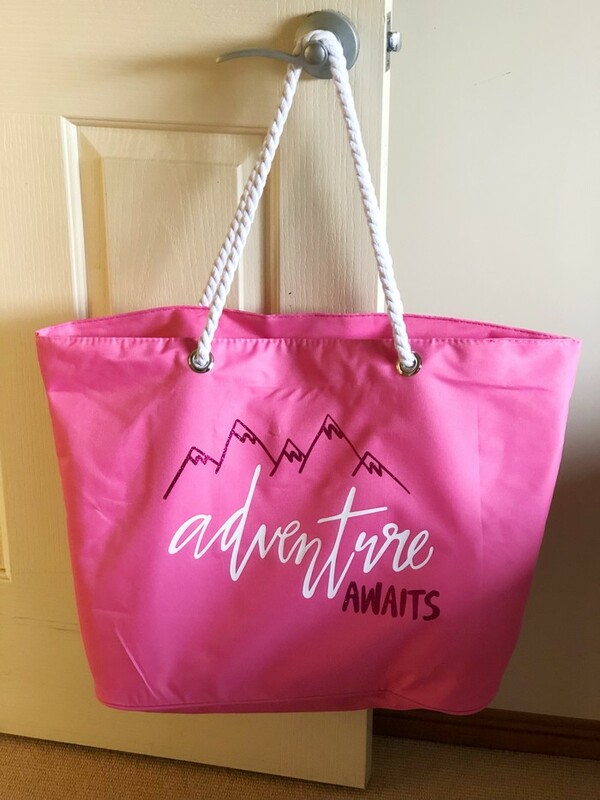 Examples: Name, Happy Birthday, Bride, Bride to Be, Bridesmaid, Wedding Planning Bag, adventure awaits etc. Fully lined with zipper closure & an inner zip pocket. 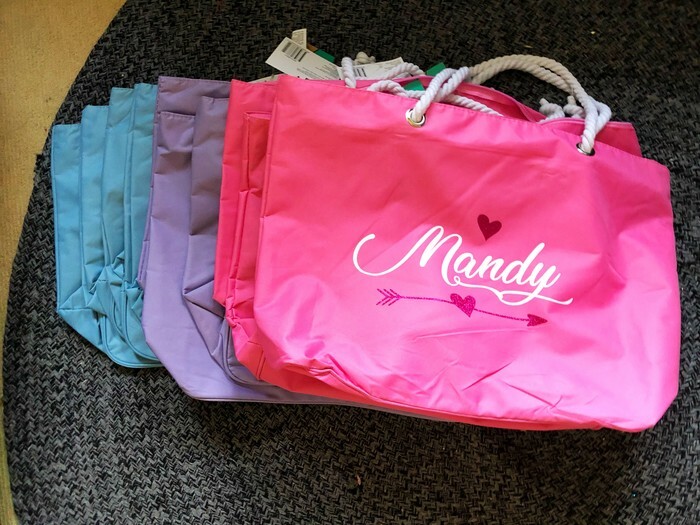 We have pastel pink, blue & purple available for this beach bag. We also have many colors available for writing including metallic gold, glitter and non glitter color. Upon check out specify your color choice and we will do our best to meet your needs!